Margoni jewelry, designed and handmade in Greece by Mary Margoni and Yannis Mandilakis, uses carefully faceted, or rough, stones in their jewelry. 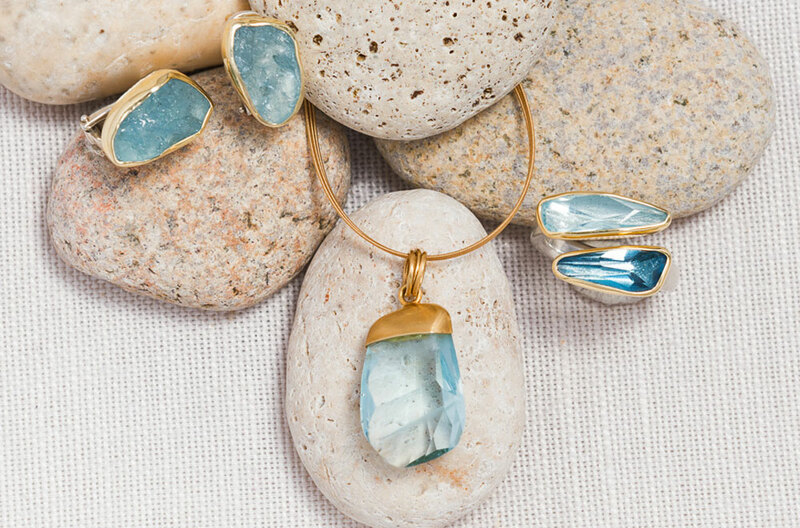 The Aquamarine stone and color usage has a soft blue that balances with the elegant use of gold. The Margoni faceted Aquamarine Pendant, rough Aquamarine post earrings go with the Margoni faceted Aquamarine and London Blue Topaz ring, which is open and wraps around by the meeting of the stones.